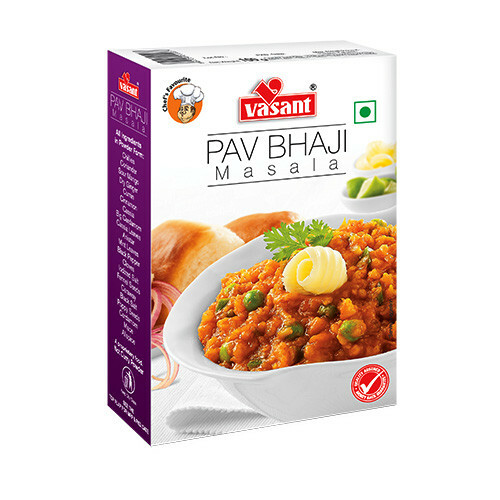 Hot favourite among Indians, Pav Bhaji is popular across different taste palates. Since its recipe is a little involving, people prefer to go out and order it. 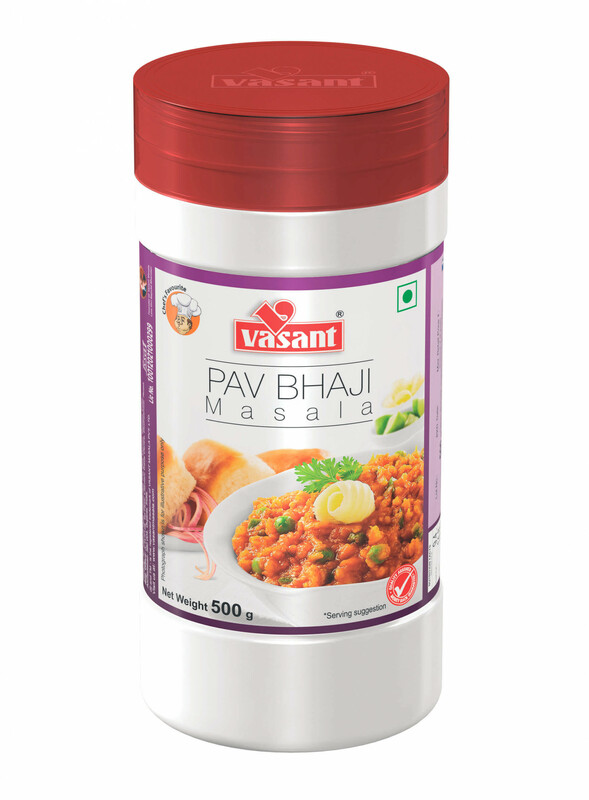 But Vasant Pav Bhaji Masala gives the same delicious taste of Pav Bhaji you relish in any restaurant outside. 2. Add 2 roughly mashed tomatoes, 1 table spoon Vasant Pav Bhaji Masala, red chilli powder and salt to taste. Let it cook for a while. 3. 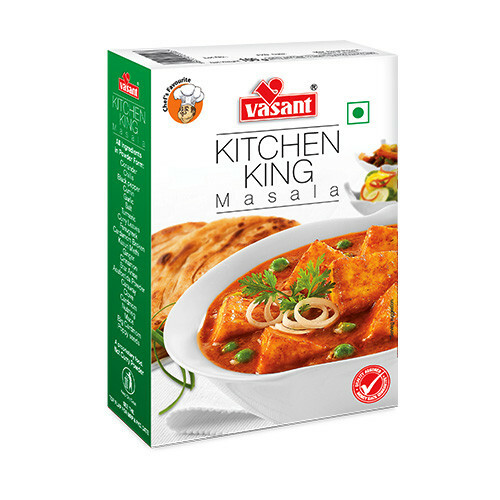 Add 500 g of boiled and mashed vegetables like peas, capsicum, cauliflower and let it cook for 2-3 min. 4. Garnish with a tea spoon of butter and coriander. 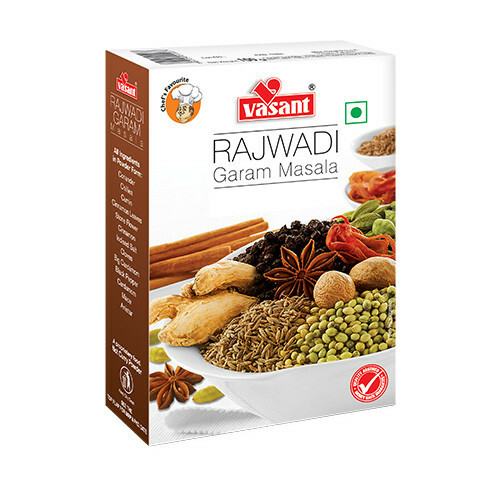 Serve with chopped onions, lemon and pav.